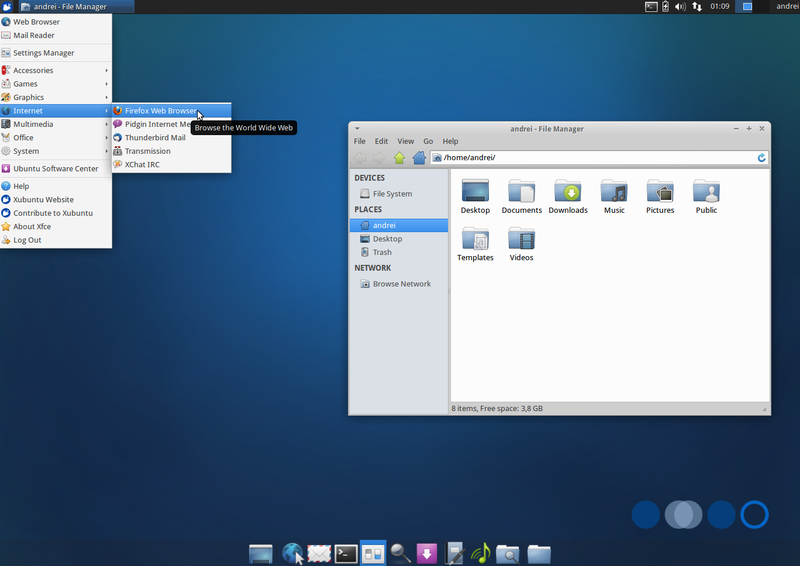 Xubuntu 13.04 has been released yesterday, along with the other Ubuntu flavors. 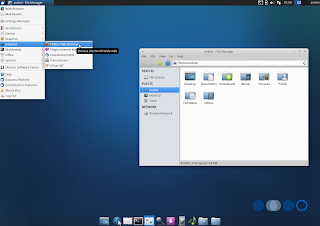 Xubuntu uses Xfce as the default desktop environment and is a great alternative for those who prefer a traditional desktop layout with a panel on top, panel applets and so on. According to the Xubuntu developers, Xubuntu 13.04 is mostly a maintenance release so there aren't many new features but there are some new default applications and some other interesting changes. Starting with 13.04, the Xubuntu images are larger than 700MB so they no longer fit on traditional CDs. The decision has been voted 8-0 by the Xubuntu team members and thanks to the extra space, some applications that were removed from the default installation in Xubuntu 12.10 are now back by default (see below). One of the reasons for this change is the "amount of developer time currently spent keeping the ISO small enough to fit on a CD". support for color presets and some presets were added by default, including "Solarized Dark" (which by the way, is my favourite terminal / text editor color scheme). Default applications included in Xubuntu 13.04: Firefox 20, Thunderbird 17.0.5, Pidgin 2.10.7, Transmission 2.77, XChat 2.8.8, GIMP 2.8.4, Thunar 1.6.2, Catfish 0.6.3, Gnumeric 1.12.1, Abiword 2.9.2+svn20120603, Xfce4 Terminal 0.6.1, Parole 0.5.0, Gmusicbrowser 1.1.9, gThumb 3.0.2, Simple Scan 3.6.1, Ristretto 0.6.3, Xfburn 0.4.3, Gigolo 0.4.1, Mousepad 0.3.0 and Ubuntu Software Center 5.6.0, all on top of Xfce 4.10. If you've installed Xubuntu 13.04 beta and used the Update Manager to upgrade all the packages, you already have the final version so there's no need to reinstall. Tip: for improved multi-monitor support, use the Xfce 4.12 PPA.